Nitin Chhoda shares several strategies to simplify and streamline the decision to adopt an electronic medical records system in your practice. The objective is to reduce the learning curve and allow your staff members to take full advantage of emerging technology. The correct balance between hardware and software will allow the entire practice to become more efficient throughout the patient treatment cycle. You have finally decided to take the plunge: to upgrade your practice with electronic medical records (EMR). Electronic medical records will revolutionize how you run your practice and make life simpler for everyone who works in the office, from receptionists to physical therapists, as well as for your patients. There are several benefits of electronic medical records, and their use in a physical therapy clinic is discussed elsewhere in this blog. Implementing an electronic medical records system can be a little frightening. After all, you will probably be paying a fair sum of money to the vendor, and you need to know that the one you have implemented is right for you. Additionally, any transition can be difficult, as everyone will need to learn new strategies and give up their old habits. Sometimes, the implementation of an electronic medical records system may fail because the team that was supposed to use the system wasn’t comfortable with computer hardware. If you have doctors, nurses, or any staff that don’t know how to use a computer, or aren’t skilled enough to operate the piece of software that they will be interacting with on a daily basis, you have some work to do.Don’t assume that your staff is ready. Make sure that they are. There’s no getting around it: an electronic medical records system is going to change how you work. You need to make sure that you – and everyone else in the office – are ready for that. 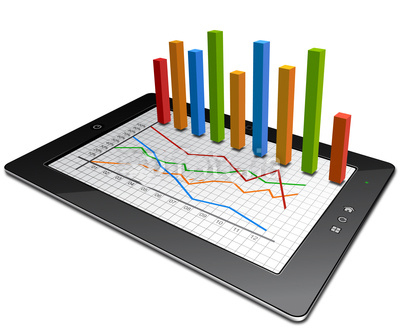 Analyze how your process currently works and talk about how it will change when you implement the EMR system. Make sure that the process makes sense and work with the software vendor’s technical staff to make sure you understand how everything is meant to work. 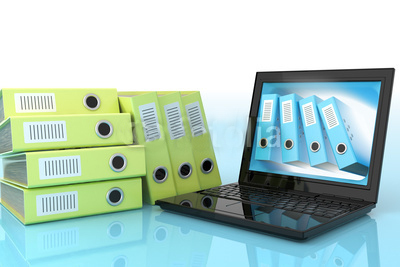 PT documentation software is only as good as the users who enter the records. Unless you add all of your paper records, your new EMR software might as well not exist. You are upgrading to an electronic medical records system for a reason. It may take some time, but the process of including all your patient information will mean that you won’t ever have to check in the physical records. Because if you don’t, your staff is still going to have to check the physical records to make sure that all information has been accounted for, limiting the efficiency you are gaining. This is a big one. While you can usually get away with running software on underpowered machines, it isn’t a good idea. You will have very little stability when using your electronic medical records software for your physical therapy clinic, if your computers are ancient and slow. You will want to upgrade to hardware that will run the software optimally.Unless, of course, you are considering web-based electronic medical records solutions. These are frequently less taxing on the machine than localized PT documentation software. This is one of the major benefits of an electronic medical records system, in addition to the fact that you can pull up the data from anywhere.